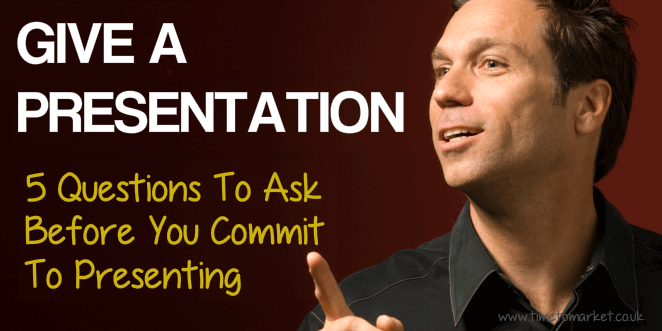 You should be clear about why you need to give a presentation. Because depending on whether you need to motivate or inform an audience your choice of content or presenting style could be very different. So, your presenting objective will influence the main points that you make to your audience. Clearly there was a huge objective for these Government PowerPoint slides during 2018. For how long do I need to give a presentation? Really this question might be better phrased, “how long should I speak?” Aim to speak for 20 or 25 minutes with some five or 10 minutes of questions. Yes, an alert audience might give you more attention for perhaps 35 to 40 minutes. But beyond that you are on borrowed time. In all cases you should respect the endurance of your audience. Because you really don’t want a reputation for giving a lengthy speech. Unlike José Manuel Durão Barroso, of course. Who is in the presentation audience? Your audience helps you to determine your content, the points you need to make and the theme for your presentation. In-built relevance is an essential starting point for a presentation’s success. Because without it your hard work and preparation might be in vain. So, doubtless the audience for this Barclays results presentation knew what was coming. When do I need to give the presentation? Simple logistics and planning are key attributes for any presentation. So when you know an event’s schedule you can plan and prepare beforehand. Then you can rehearse and finally familiarise your presentation. These are essential steps. Clearly this didn’t happen for the President Jonathan speech at the African Union conference in Addis Ababa. He just didn’t show up at all. If travel plans are needed before you give a presentation it helps to know about them from the very start. That’s because your event could be simplified if you can combine it with other travel plans. Before you commit yourself to giving a presentation, you should really discover the answers to these 5 questions. What is the presentation objective? For how long do I need to give the presentation? Being sure of the answers to these five questions before you give a presentation will help you to get the most from your presentation opportunities, build the right content and get the right level of audience involvement. To help you prepare to give a presentation, you can always attend a Time to Market presentation training course. And with more than 40 training centres available, you are never that far away from your nearest course, presentation coaching session or one-day skills refresher.